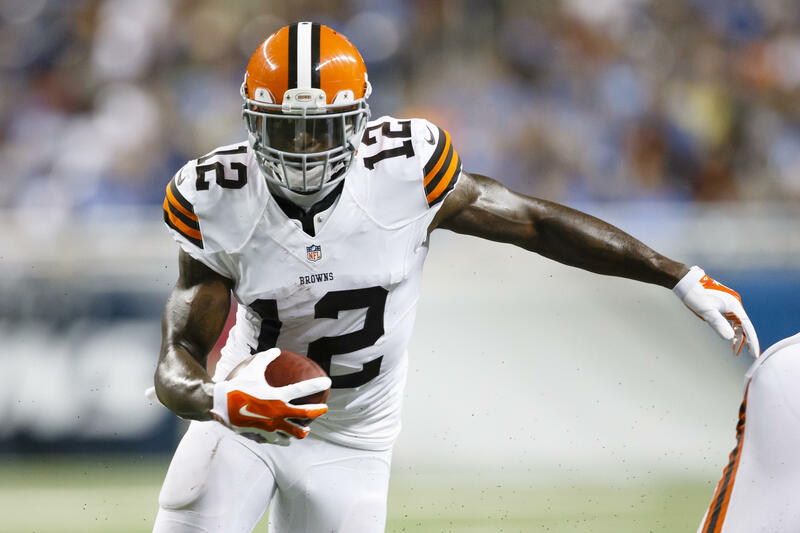 The Cleveland Browns have traded wide receiver Josh Gordon to the New England Patriots, the team announced Monday. NFL Network's Ian Rapoport reports that the Patriots are sending the Browns a conditional 2019 fifth-round draft pick in exchange for Gordon. Gordon, 27, has only played a total of 41 games during his six years with the Browns. He has faced several suspensions for violating the league's drug policy but is widely considered one of the most talented receivers in the game. ESPN's Adam Schefter reports that if Gordon isn't on the Patriots' active roster for 10 games, the Patriots will also receive a 2019 seventh-round pick from the Browns. The Browns announced on Saturday that they planned to release Gordon after he showed up late to practice, but later explored trade options for the 6-foot-3 receiver. "For the past six years, the Browns have fully supported and invested in Josh, both personally and professionally, and wanted the best for him, but unfortunately we've reached a point where we feel it's best to part ways and move forward. We wish Josh well," Browns general manager John Dorsey said in a statement. The Browns drafted Gordon in the second round of the 2012 supplemental draft. He missed two seasons with the team — 2015 and 2016 — due to his suspension. In 2013, Gordon racked up 1,646 yards and nine touchdowns in a mere 14 games.